How to - easy explanation! Back at it again with the latest low syn supermarket finds! With the hot weather, I've had my eye out for summery treats to keep us motivated, inspired and on plan throughout the hot weather. Keep scrolling for the latest batch of low syn supermarket finds for July 2018. I must be late to the party with these, but I picked these up in Lidl recently and was so impressed. What I love about the variety pack is that depending on the craving for something sweet or savoury, you have both options! They are perfect size to bring out as an emergency snack or to throw in a picnic box. 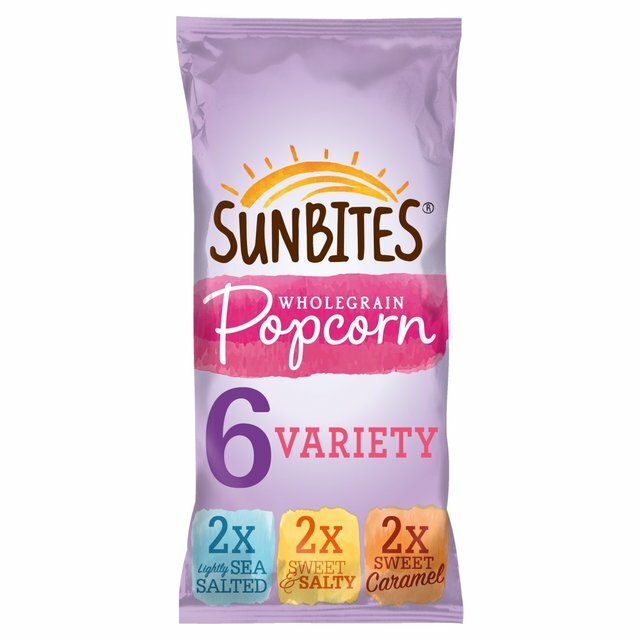 Sunbites popcorn are 3 syns per pack. Found in the frozen section of Aldi, The Live Well range is a nice new addition with many items under 1 syn. These juicy little quarter pounders are packed with Mediterranean herbs and spices. Of course they are no replacement for the ultimate slimming world burger, but none the less are a convenient option which will set you back just a half of a syn. Available also in a Tex-Mex style at 1/2 syn each. Perfect for a BBQ, although it is best to thaw them beforehand to be safe. Came across Pow Cow Frozen Yoghurt this in Lidl when I was in one of my extreme chocolate-craving moments, right beside the Haagen Dasz! This is really chocolatey, with a lovely texture and feels like an indulgent treat. Tip: Let it sit for 15 minutes outside the freezer before eating! Continuing on the dessert train, Tesco have released a new strawberry flavoured quark. Delicious on it's own, I'm looking forward to using this as an ingredient in baked oats, as icing on a low syn cake, or even better - to make a low syn cheesecake. STOP THE LIGHTS! I've certainly saved the best till last with these. Made using Pimm’s No.1, lemonade, cucumber, strawberries and mint these are the perfect cool-down in the summer heat. And at 32 calories they are just 1 syn each. It's important to note that these have 4.3% alcohol so keep them away from the kids! Have you tried any of the above low-syn supermarket finds or come across something new and interesting that you fellow slimmers can enjoy? Let us know in the comments below! Remember, we have curated slimming world shopping lists for all of the supermarkets mentioned here and more. You can view these here. Every so often, you'll discover something new that is delightfully low in syns, be it in in a chat group or otherwise. As I stroll through the supermarkets or browse online, I tend to look out for low syn, low sugar items with a free food as the main ingredient. This way, I am guaranteed to find some exciting and low syn items to share with the slimming world community. Tesco's Finest Range offers slightly more gourmet offerings, and this tends to mean gorgeous rich ingredients. So when one of these options ends up being low-syn it's a great day for those on slimming world. 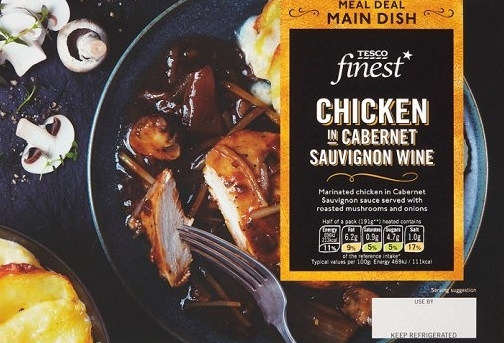 A half pack of this Chicken and mushroom in a rich wine gravy is just 3 syns, and is a hearty wintery easy meal, perfect with a side of slimming world oxo roasties. A savoury fix is an essential to have on standby. There are plenty of low-syn crisps out there, but in my experience they tend to be airy and light, not a great combination if you want to feel satisfied after eating them. This 60g pack of 100% chicken breast bites will give you the flavour burst you might crave, but will keep you fuller longer. Heinz creations have developed this vegetarian lentil curry, which is totally syn free. Add chicken or beef if you fancy it, and serve with rice or these syn free onion bhajis. Ravioli is almost a meal in itself, and I'd recommend pairing this with some roasted vegetables or a salad. To get a proper fill it can also be enjoyed as a side dish. Welcome to the slimming world survival blog. My aim is build a one stop shop for slimming world shopping lists, tips, tricks tasty recipes and more. Hope you enjoy browsing and find something inspiring today! Slimming world recipes, shopping lists syn free foods, low syn, tips and tricks.